Just over a year ago, Maltese investigative journalist Daphne Caruana Galizia was murdered in a car bombing outside her home. 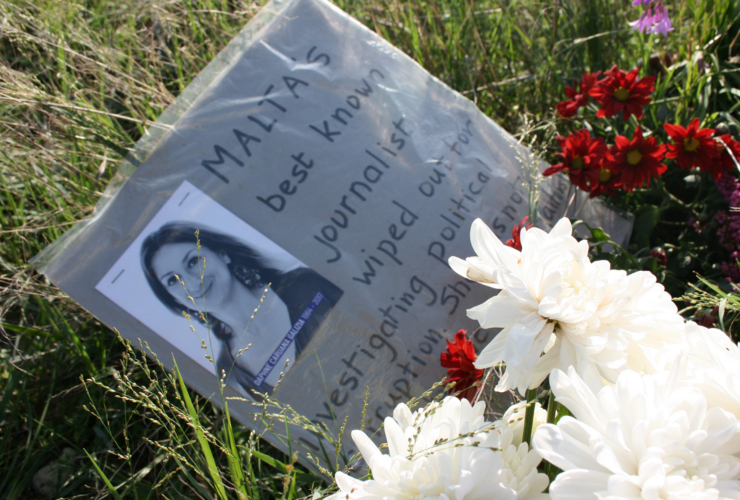 But the murder did not stop coverage of issues Caruana Galizia had been examining, including corruption, oil smuggling and money laundering in Malta. Instead, it gave rise to the Daphne Project, which brings together journalists from around the world to continue Caruana Galizia’s work. The Daphne Project was the first initiative of Forbidden Stories, a global network of journalists ready to take over the work of colleagues who have been threatened, imprisoned or killed. 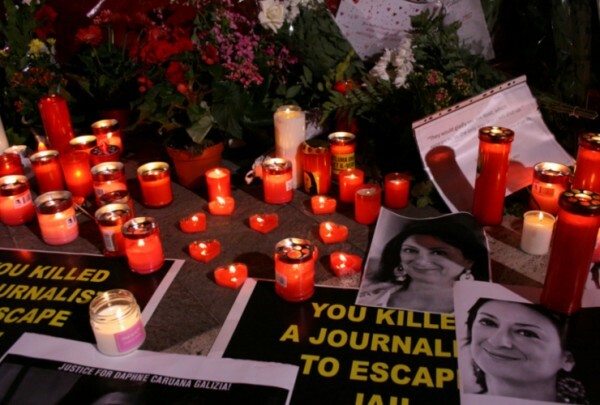 “We have been working for the past year to investigate the killing of Daphne Caruana Galizia and to ask the questions she is not able to ask”, Laurent Richard, founder and executive director of Forbidden Stories, said in a recent interview with the International Press Institute (IPI). The Daphne Project gathered 45 journalists from 18 different media organizations, including the Guardian, Reuters, Le Monde, the New York Times, La Repubblica and Die Zeit. The first set of articles, published in April, six months after Caruana Galizia’s killing, detailed the investigation into Caruana Galizia’s murder, which has been criticized for failing to identify the mastermind despite the arrests of three alleged hitmen. The Daphne Project revealed a connection between the suspected killers and the economy minister of Malta, Chris Cardona. The stories also exposed secret investments of powerful Azeri families in a Maltese bank and a questionable energy deal made by Maltese authorities with an Azeri oil company, both subjects of Caruana Galizia’s reporting. More stories came out on the first anniversary of the killing in October, on topics ranging from illegal trafficking to Malta’s “golden passport” scheme. 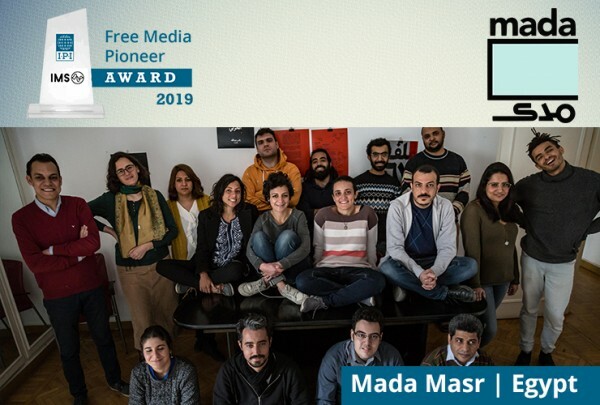 The second round of the Daphne Project was supported by a €29,000 grant from IJ4EU, a fund backed by the European Commission via the European Centre for Press and Media Freedom (ECPMF) and managed by IPI. IJ4EU, which launched in 2018, aims to support cross-border investigative journalism in Europe. The first Daphne Project stories were met with great interest by the Maltese media in April, Jacob Borg, a reporter for the Times of Malta who has collaborated with the Daphne Project, told IPI. Borg said the project sent a strong message to the Maltese people that the killing of Caruana Galizia and the stories she was investigating were not only important to Malta but also to the international community. For Borg, the most significant outcome of the Daphne Project has been the impact of a story about 17 Black, a Dubai company that had according to reports paid $2 million for unspecified services to offshore accounts belonging to two Maltese government officials: former energy minister Konrad Mizzi, and the prime minister’s chief of staff, Keith Schembri. In November, the Times of Malta and Reuters revealed that the owner of 17 Black was Maltese businessman Yorgen Fenech, who is the CEO of one of the companies behind a gas power station consortium that was pushed by the Malta’s ruling party in the 2013 election. “It put the government under major pressure”, Borg said. Due to this exposure, Konrad Mizzi, now Malta’s tourism minister, faces a possible vote of no confidence in parliament. The second set of stories was received more sceptically in Malta, Borg noted, with some news outlets in the country trying to prove the stories incorrect. He said he had also noticed a shift in the willingness of sources to speak. That, he said, had changed with the passage of time. For Richard, one way to measure the impact of the stories is the number of people around the world who learned about the killing of Daphne and the stories she had worked on. Thanks to the participation of several international news outlets, that reach has been significant. “I think we have never talked so much about corruption and money laundering in Malta than following the death of Daphne”, Richard told IPI. The project has had an impact on the institutional level in Europe as well. The European Parliament and the European Commission have both decided to investigate the killing of Caruana Galizia after the first batch of stories in April. The Council of Europe has appointed a special rapporteur on the murder and sent representatives to Malta to question local authorities. The work of Forbidden Stories has expanded since the Daphne Project. In October, the network published a series of articles on the killing of Ecuadorean journalist Javier Ortega, photographer Paúl Rivas and their driver, Efraín Segarra, who were kidnapped by former FARC militants while investigating drug trafficking on the Ecuador-Colombia border in March 2018. Forbidden Stories partnered with 19 Ecuadorian and Colombian journalists to cover the killing and the journalists’ work in several international newspapers. Before going to the border for the last time, journalist Javier Ortega was informed about the existence of a secret communication channel between the police and the drug cartels. He was never be able to write about this subject. The network has also shared the stories of two Mexican journalists, Javier Valdez and Miroslava Breach, both murdered in connection with their work in 2017. Richard emphasized that killing of a journalist is an international story. For example, if a Mexican journalist was killed because he or she was investigating an international drug cartel, the story’s impact extends to anywhere where the cartel operates. Collaborating internationally is also a safeguard for journalists working on stories that their murdered colleagues were not able to finish. “Threatening one journalist (working as part of the Forbidden Stories team) does not make any sense because the group works together. We’re going to publish the information no matter what happens”, Laurent emphasized. Borg said he had not received any concrete threats despite continuing the work of Daphne Caruana Galizia. Forbidden Stories has adopted significant safety measures for communication among its members and for certain travel. Another key safety precaution is to reserve enough time for the investigation. Forbidden Stories, which was inspired by the work of the Arizona Project, which continued the work of murdered U.S. journalist Don Bolles in the 1970s, has much more up its sleeves, Richard said. But he’s not able to talk more about future projects yet, as someone may want to prevent the publication of such “forbidden stories”.